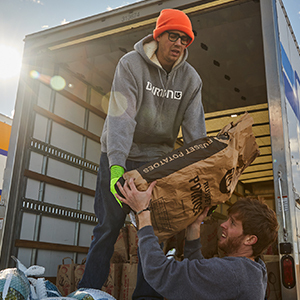 In 2017, we continued our commitment to helping end hunger around the world by donating a total of $5.4 million (or 5.9 million individual meals*) to hunger-relief efforts, including products we donated to food banks and disaster-relief efforts.We are proud to partner with organizations like Feeding America, Second Harvest Heartland, Convoy of Hope, Food For The Poor, Caritas Arquidiocesana and Conscious Alliance, who help us distribute our products to those in need. 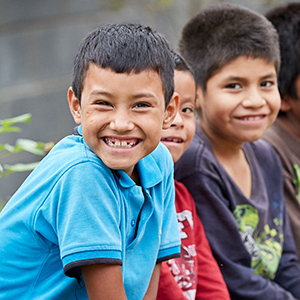 We specifically designed and developed SPAMMY®, a shelf-stable poultry product fortified with vitamins and minerals, to help malnourished children in Guatemala. Working with Food For The Poor and Caritas Arquidiocesana to distribute the product to family centers and orphanages, we donated 2.6 million cans of SPAMMY® in 2017. Furthermore, many of our employees and their guests made the journey to Guatemala to help with the project. In total, we’ve donated approximately 17 million cans of SPAMMY® since its inception. We continue to engage with stakeholders to determine the best ways to scale Project SPAMMY® to other countries around the world. In recognition of our Project SPAMMY® efforts, we received a Leadership in Community Service and Corporate Responsibility Communitas Award in 2016. 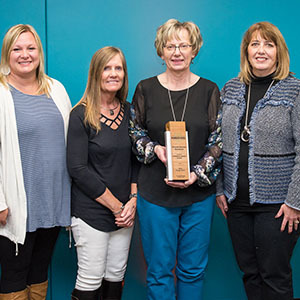 Through the Hormel Foods Plant Community Donations Program, Hormel Foods provides funds to its U.S. manufacturing facilities to share with local hunger-relief organizations in their communities. In 2017, over $300,000 was donated to local charities in 30 communities. For example, our Fremont (Neb.) 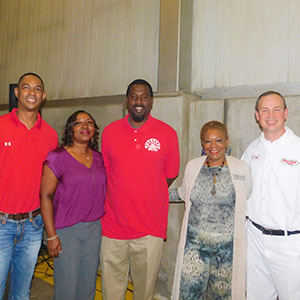 Plant donated $10,000 to the Hope Center for Kids, and our Atlanta (Tucker, Ga.) Plant donated $10,000 to Hosea Feed the Hungry and Homeless through this program. 2017 was a devastating year in terms of natural disasters around the world. Through our Disaster-Response Program, we partner with Convoy of Hope to assist with relief efforts. 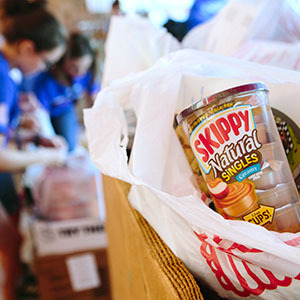 In 2017, we helped stock Convoy of Hope’s warehouse with protein-rich, shelf-stable products, such as SKIPPY® peanut butter, Stagg® chili, Hormel® premium chicken breast and SPAM® products. We also donated $25,000 to the organization, and our Applegate and CytoSport subsidiaries donated products as well. Convoy of Hope provided relief efforts for Hurricane Harvey, Hurricane Irma, Hurricane Maria, the earthquake in Mexico and wildfires in California. In addition, members of the Justin’s team make an annual trip to the reservation in November assemble and pass out meals. 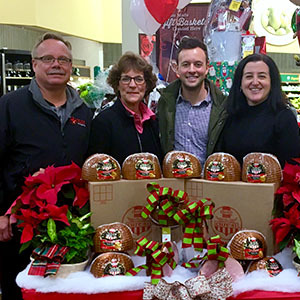 Our Jennie-O Turkey Store subsidiary partners with Second Harvest Heartland to help fill the missing meals gap in Minnesota. Jennie-O Turkey Store received a Hunger Hero award from the organization for donating over 645,000 pounds of turkey products from October 2016 – September 2017. More information about the ways we help those in need can be found on our corporate site.